Metallic Gold 2 Face with cover. 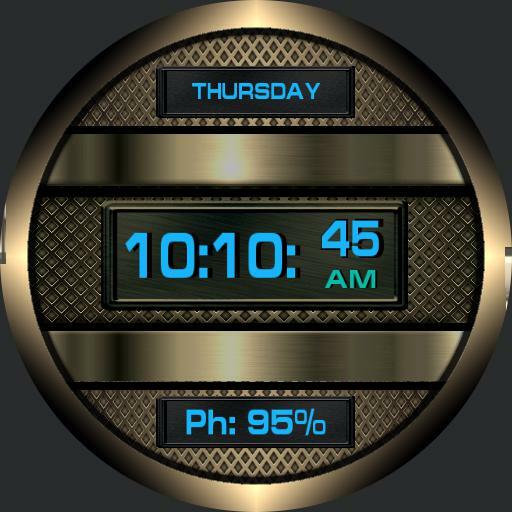 Face 1, Digital date, time and power levels for watch and cell. Face 2, Analogue face, date. Tap actions, 12, open close cover, 9, next ucolor for highlight areas, 3, previous ucolor, 6, to park hands at 12pm. Dim, main time info. Ouroboros 3 Face watch and Face cover. Updated version.